This lesson straddles two weeks due to General Conference. We are privileged to study witnesses of Jesus in the New Testament as we hear our prophets, seers, and revelators in these modern times bear witness of Him also. Continually in these lesson hints, we try to lend context to the New Testament by describing the culture and times in which the events happened. Personal revelation is the basis of our faith in The Church of Jesus Christ of Latter-day Saints. But it is not a guiding principle for our Jewish friends, and it was not a guiding principle for the Jews at the time of Christ. Revelation’s importance for Jews was that the commandments came to them by revelation to Moses on Mt. Sinai, something that the pagan faiths could not claim since they were conceived by men. A spiritual connection with God could be developed through the keeping of the commandments, and prayer has always been part of Jewish belief. But there is not a sense of “gaining a testimony” of the one God or being personally guided through one’s life by revelation. Additionally, Judaism had become less spiritually-oriented during the reign of King Josiah. If you can remember, the temple at the time had become somewhat of a storage unit. It was in disrepair and King Josiah ordered his priests to arrange for it to be fixed up and cleaned up. In the process, scriptures were found. When Josiah read them, he was surprised and realized he had not been living the commandments. He repented and caused his subjects to repent. Scholars now feel that a “Deuteronomic reform” took place under those priests that stripped out some of the most spiritual aspects of the gospel. So the Jews at the time of Christ were more commandment-oriented than ever before. Yet Christ’s whole ministry depended upon Jews receiving personal revelation and seeing what in their traditions and learning actually testified of the Savior. They needed to be enlightened by the Spirit when it was not part of their system of belief. Christ’s original disciples had to gain this testimony in an environment very hostile and dangerous for them, and yet it did happen. There are some very interesting things about the transfiguration. In the New Testament, the experience on the Mount of Transfiguration seems to have occurred at the time of Sukkoth, the Feast of Tabernacles, in the fall. At the Feast of Tabernacles, Jews build booths reminiscent of those they lived in during the Exodus. These fall holidays display imagery of final judgment and Christ’s Second Coming. Peter wanted to make three tabernacles – one for Christ, one for Moses, and one for Elijah. Peter, James, and John, during this experience on (probably) Mt. Tabor, saw the final transfiguration of the earth. Section 63 of the Doctrine and Covenants states that we do not have the whole account of the apostles’ experience on the Mount of Transfiguration. That will be very exciting to read someday when we are worthy to receive it. Moses and Elijah also appeared to Joseph Smith and Oliver Cowdery to give them Melchizedek Priesthood keys as recorded in section 110 of the Doctrine and Covenants. The appearance of Elijah recorded in the D&C occurred on the first fruits Jewish holiday of Bikkurim. The holiday occurs during Passover week. Anciently, a wave offering of grain on Bikkurim guaranteed a perfect harvest thereafter. Christ was resurrected during this offering bringing the resurrection to all living things, a perfect harvest. Elijah, returning in modern times to Joseph Smith, brought the sealing power that binds families together forever, a harvest of souls bound to God for eternity. God’s house is a house of order established to bring knowledge, healing, and peace. 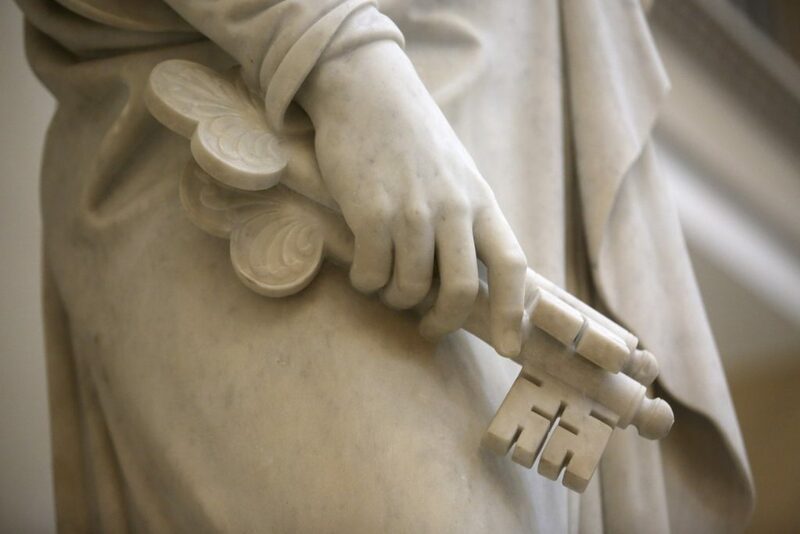 The keys of the Priesthood are not meant to be wielded as weapons but to grace the earth with the saving power of Christ.